The off-shore trough at mean sea level from south Maharashtra coast to Kerala coast persists. The Upper Air cyclonic circulation (UAC) over eastern Arabian sea and adjoining Maharashtra-Goa coast persists and now is at lowers levels. 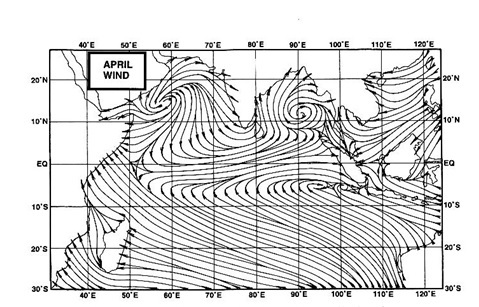 For the west coast of India, this is the trough we have been observing. The embedded UAC which was expected to form off Mumbai, and now going by our estimate, should strenghten to some extent, and cross the coast south of Mumbai by Tuesday evening. Resultantly, the entire west coast North of Karnataka (included) should get enhanced rainfall from Tuesday thru Friday. The brunt of very heavy rains, on Wednesday/Thursday will be taken by the Konkan region and the adjoining western ghat stations. I do not expect the UAC to go to great strenghts, but still could pour some extreme rainfall of +250 mms on Wednesday/Thursday in extreme cases along the Konkan coast or ghat stations. The rain spell will be restricted mainly along the coast, and may not venture much into the interior of the peninsula regions. The much needed parched regions of interior Maharashtra and adjoining Karnataka, M.P.will get scanty rainfall, in pockets, during the week, not exceeding 10-15mms /day.Vidharbh could get some good rain on Wednesday. The push into Gujarat will be after Wednesday. From then we see the rain areas pushing into Saurastra, with rain in almost all the regions of Saurashtra from Wednesday thru the week. But the Monsoon throughout this week, till the 25th. at least, will refuse to move further.On 22nd,It will just about enter Gujarat region, barring the Northern Kutch and adjoining Rajasthan region. Till the 25th, it will remain stationary in the eastern sector, without moving towards east U.P. That's the gateway to the Northern plains including Delhi. No formation of any low is seen in the head bay till the 25th, which makes me conclude the stationary monsoon prediction in this sector.Even the 200 hpa jet streams do not "fall in place" before that. That translates to a continuation of the heat wave in Rajasthan, Punjab/Haryana and delhi.With a mainly clear sky, the maximum temperature would hover at around 44c in Delhi. And the desert state could see 47/48c next few days.On saturday, Phalodi in Rajasthan sizzled at 46.5c and Kota registered 46.3c. Mumbai: Well, we had our hot day on Sunday,with just about 5 mms of rain. Expect some passing showers on Monday, rainfall upto 15 mms. Tuesday will be overcast, and by evening, an increase in rainfall can be expected. Wednesday thru Friday, will be days of heavy rains, with flooding in vulnerable areas. Rains on Wednesday could be around 50mms, And 80-100mms on Thursday/Friday. The trough of low at mean sea level passes through Churu, Gwalior, Rewa, Gaya, Asansol, Kolkata and thence southeastwards to eastcentral Bay of Bengal. Now,something has got me thinking.The forecast prediction for this trough is a bit confusing. IMD's GFS maps show this monsoon trough, along the Northern plains,dropping pressure to 994 mb, with a core of 992 mb, by the 24th. Frankly, if that were to happen,I would fear a Break Monsoon condition. Now that's quite scary ! A Break Monsoon is the last thing we need now!I am not predicting this,I am just putting up my point of view. It may not happen, and I hope not, but a low trough of 992 mb in the East-West axis is certainly not the ideal situation during, or even before the monsoon has set in !